With the new Congress scheduled to convene on January 3, 2019, the Act is all but dead for the current session. Choice is an Illusion and its president, Margaret Dore, worked very hard to get this result. 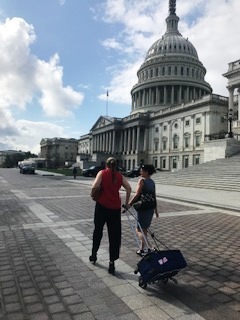 Dore, assisted by Dawn Eskew, provided a detailed legal and factual analysis of the proposed Act and in person lobbying on site in the US Senate and the US House of Representatives. The Act, however, will likely return. With your generous donation, we will once again be able to fight back.